It’s no secret that Apple will launch three new iPhones this year. Two of these will succeed the iPhone X and feature OLED displays. 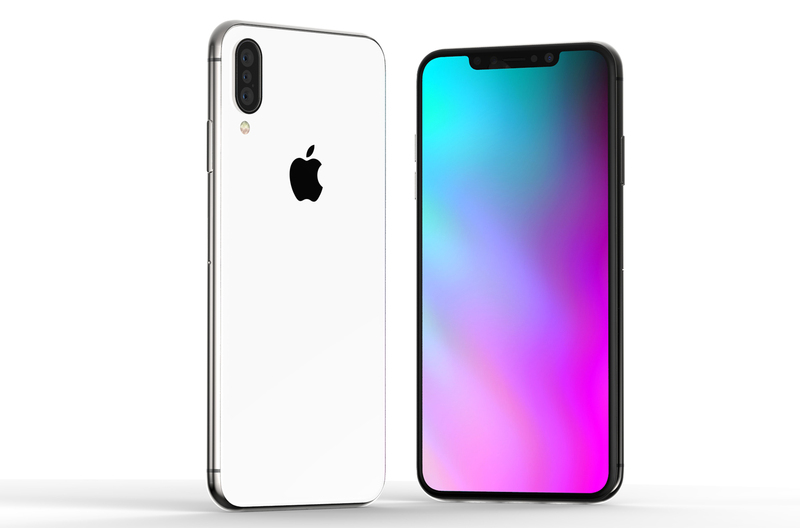 The third will feature an LCD display with Apple’s proprietary True Depth camera setup to bring Face ID down to a lower price point. As is always the case, we’ve seen our fair share of wild and more realistic claims this year for all three devices. One of these is related to the 6.5″ OLED iPhone X(s), (or ‘X Plus’). The smartphone is Apple’s largest ever iPhone in terms of screen size, despite having near identical dimensions with the iPhone 7 Plus. Bezel-free displays are the latest feature for flagships and they’ll serve Apple well. Back to our wild rumor. 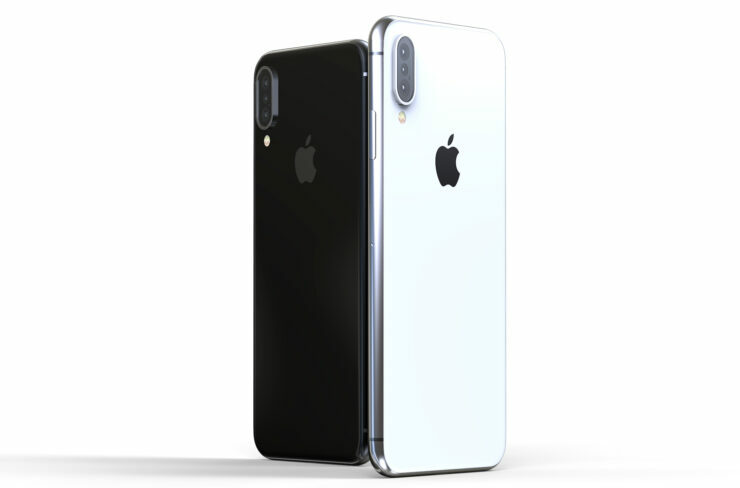 Last month, Forbes’ published a case leak for the 2018 iPhone 9 and the iPhone X(s) Plus. It contained schematics from case manufacturer Ghostek but also came with an interesting claim. The publication believed (and continues to believe), that the iPhone X Plus will feature a triple camera setup. Today’s renders imagine just that. Take a look below for more. Since the aforementioned source is the only one with the claim of a triple-camera setup for the iPhone X Plus, it’s pertinent to take the information with caution. However, this does not mean no future iPhone will feature the upgrade. 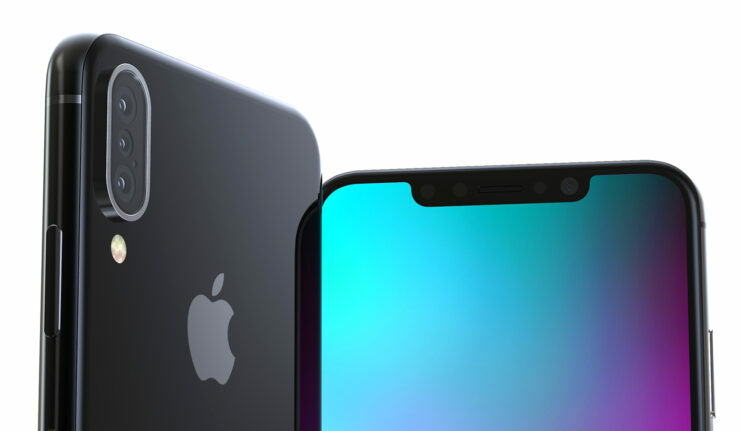 More consistent rumors believe that the 2019 iPhone crop from Apple will utilize the setup, especially as sources also remain optimistic for the feature’s presence on next year’s Galaxy S10. A triple camera setup for the iPhone X Plus does make some sense only if we suspend all disbelief. The only factors that will persuade Apple for such a dramatic restructuring of the iPhone’s internals over the course of a single calendar year are if it launches a new generation of devices or wants to keep up with Android gadgets. However, if you’re familiar with the company’s culture and operational themes, you’ll know that not only does Apple not adopt features for the sake of them; it also gives priority to perfecting existing designs rather than rushing in with new ones. These end up invalidating two of the strongest reasons for Cupertino to make the change. 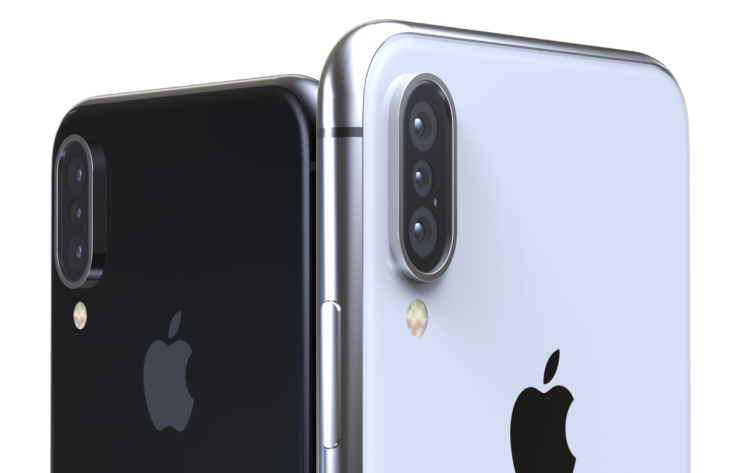 Despite Renders, Will Apple Really Launch A Triple Camera Setup With The 2018 iPhone X Plus? While we can’t say anything for sure until Apple actually launches this year’s iPhone lineup, it’s still a long shot for it to launch a triple-camera setup for the iPhone X(s) Plus. Given the company’s recent slow pace with design changes on the lineup, it’s a much safer bet to expect that the 2019 iPhone lineup’s form and build will stay consistent to the iPhone X’s. But, should Apple choose to launch only ‘S’ lineup of iPhones this year, it will have to upgrade to a new generation next year. It’s then that a triple camera setup will provide it with some wiggle room to claim that aesthetics are not completely similar over last year’s (2018) iPhone lineup. Combine this with rumors of virtual (ultrasonic) fingerprint recognition on next year’s iPhones and we’re looking at some fantastic upgrades indeed. Additionally, Apple will need all the upgrades it can get next year if the A12 is manufactured on TSMC’s first generation 7nm FinFET (the last process to be based on standard DUV lithography). The jump from DUV to EUV will not match Cupertino’s current performance gains, and what better way to compensate for this than by launching a triple camera setup and ultrasonic fingerprint recognition?